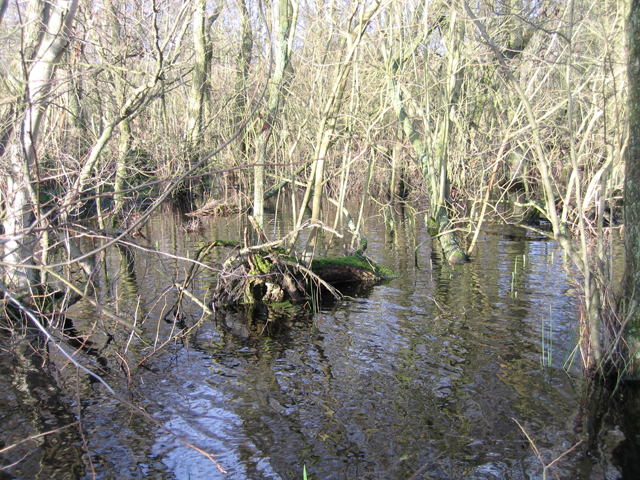 A common theme of this blog has been that we can learn a lot more about our historical landscape by getting out of our cars and taking the time to explore our surroundings. Some things, however, are eminently clear even from behind the wheel of a car. Most of those reading this post have sat at the red light at the intersection of routes 63 and 202, looking to proceed from North Street to South Street. It is clear to all motorists that to do so requires a left turn on to West Street, then a right turn on to South Street. Why are North and South Street not aligned? North and South Streets are among the oldest streets in town, and historian Rachel Carley reports that landscaping of these streets began as early as 1771. 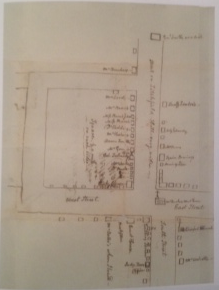 An 1814 map records these streets as being “very wide”, while another source states that the streets resembled “long pastures.” At town meetings in 1771 and 1785, it was decided to straighten North and South Streets. 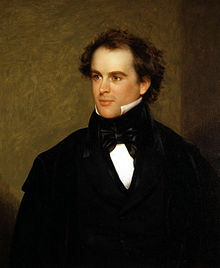 Nathaniel Hawthorne visited Litchfield in 1838, and marveled at the width of the streets, and the islands of grass that divided the thoroughfares. He wrote that “nothing can be neater than the churches and houses” along the two streets. This was, however, not always the case. Alain White, in his history of Litchfield, states that the likely reason for the wide streets was “more for the convenience of the cattle than the delight of residents and strangers.” White further reports that the awkward alignment of North and South Streets may have been due to an alder swamp along the west side of South Street, which forced that street to be moved a few yards to the east. However, White also recounts that the zig-zag of the two streets might have been due to the presence of a stately oak, “so beautiful that the settlers laid out North Street … to the west to avoid having to cut it.” There is a third possibility. The paths of the two streets follows the crest of the ridge on which they were built. This was likely the route of the earliest footpaths in town, and it simply may have been more convenient to blaze the roads along the same lines. There is one other interesting note about the layout of North and South Streets. 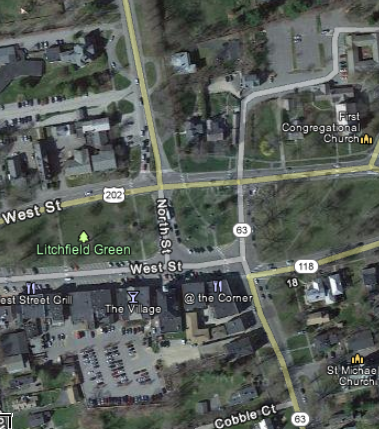 It was common in colonial New England town to lay out the streets on the lines of the cardinal directions. 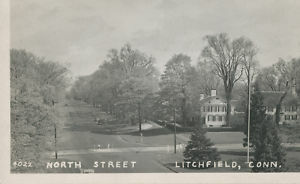 Litchfield is unique only in that those streets – North, South, East, West – have retained their directional names. However, North Street is not aligned to 0 degrees, but rather to 13 degrees. This is a result both of the original layout of the street – it was, for whatever reason, not aligned to true north – as well as the fact that magnetic north has moved approximately five degrees to the northeast since they town was laid out in the early 1700s. 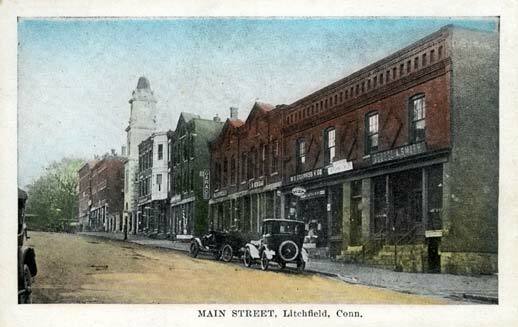 This entry was posted in Geography, History, Uncategorized and tagged Litchfield, Roads by pvermily. Bookmark the permalink.